Blastrooms are dedicated to mechanical surface preparation by impact treatment. Applications of blastrooms: derusting, descaling, deburring and surface preparation before thermal spray and painting. SciTeeX pneumatic blast machines are suited to work with a single or with composite abrasives like steel grit, chromium-nickel grit, corundum, glass and ceramic beads. 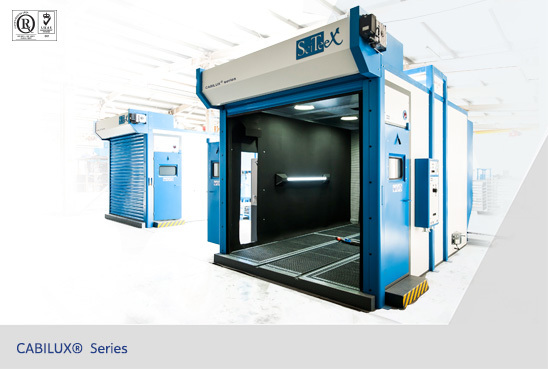 In 2004 SciTeeX introduces an innovative technology Blastroom Modular System (BMS). Industrial production of BMS components makes it possible to offer individually configured high-quality machines at a competitive price and to deliver them in a short time and at a global distance. Blastroom Modular System Elements are easy to assemble at customer’s site. 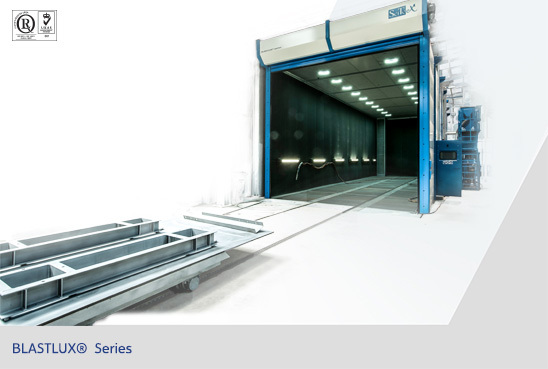 The BMS system guarantees flexibility in machine configuration, short delivery times and best price to quality ratio.